"This dance work was adapted from Gwen Frostic's My Michigan, her first book which was published in 1957. The dances showed natural occurrences like flowers, from seeds in the soil to magnificent blooms. Birds, the many species that fill our skies with mesmerizing flight patterns and song. The Great Lakes and all their wonder - from calm stillness to thunderous. waves. Then we have our man-made contributions - the great Mackinac Bridge, our prestigious universities, and the creative and routine work that industry provides us. 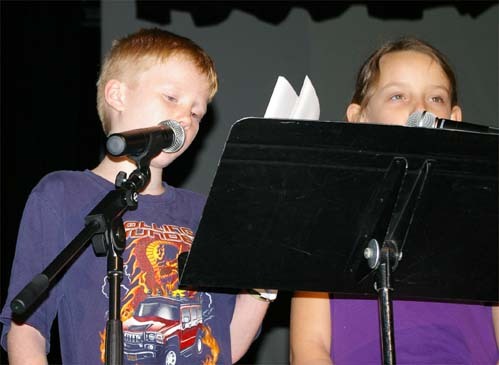 Lessons incorporated with this project included topics of economics, civics and geography." Speakers: Taylor B, Hayden, Dalron, Nickolas, Lahaila, Ella, Alli, Savannah, Kylie, Maddie and Sydnee. Dancers: Eleanor, Lahaila, Kelly, Taylor Y., Shauntelle, Kylie, Caden, Jackson, Colleen, Maddie, Ella, Chloe, Zackary G., Keira, Savannah, Hanna, Kaylee, Emma, Dalron, Griselda, Blanca, Perla, Blake, Ajah, Kelton, Olivia, Jade, Zachary S. and Dean. Set Design/Projected Illustrations: Matthew, Justin, Cody, Kolin, Aaron, Alli, Shauntelle, Sydnee, Lucas, Emma, Nickolas, Taylor B., Hayden, Taylor Y., and Hanna. All are students of Ms. Eichberger and Mrs. Catanese. 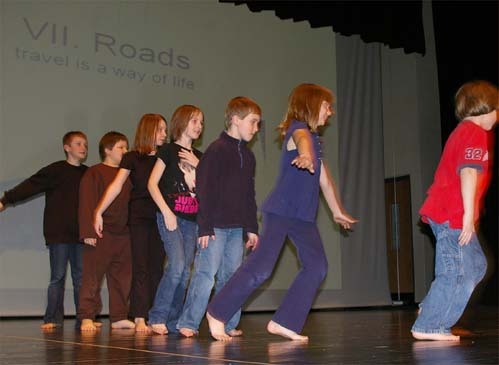 Intellectual, physical and emotional growth are stimulated through movement experiences. 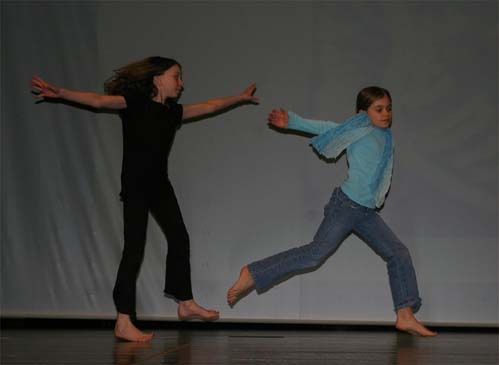 In the process of creating a dance, the students are given problems to solve that pertain to their formal academic lessons. In this case the content was civics, economics, and geography. Jean Piaget stated that the stage of "concrete operations" is usually reached between ages seven and eleven. He recommends that teachers provide a very active curriculum particularly early in this stage. Children at these ages need to work with and handle many concrete objects before they can readily understand abstract verbalization. Piaget asserts, that the key to learning is not to learning is not to verbalize too much during the concrete operational stage. Since the students require a great deal of physical activity, what better way to teach the academic subjects through movement. In this process their minds and imaginations are continually challenged. 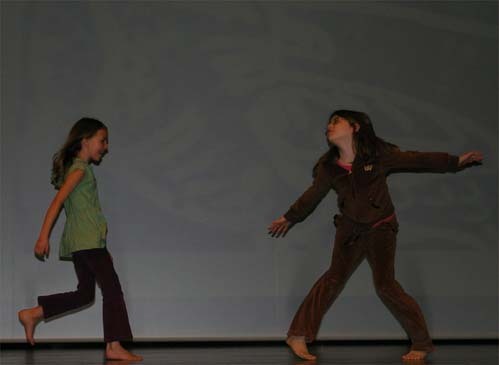 Kelly T. stated that "the dances were very creative and fun to do. It made learning more fun." Griselda A. stated that "she wants to do more dances, and the dances are good for our bodies."